Estonian Museum of Applied Arts and Design in Tallinn, Estonia. 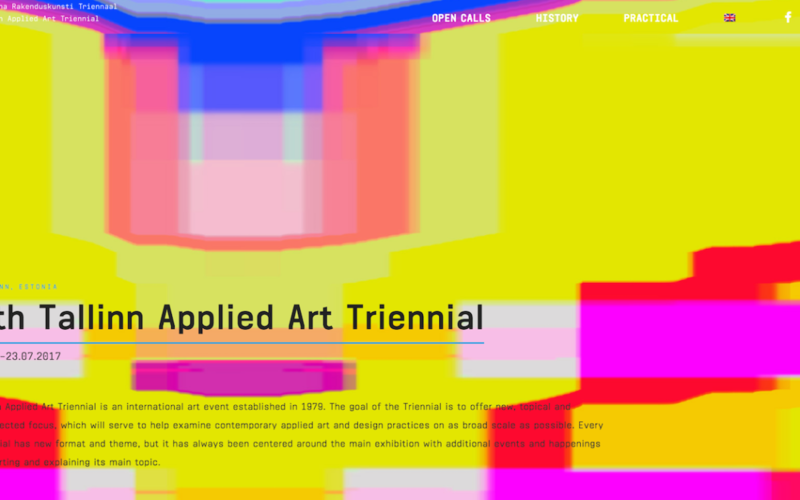 Out of the 256 applications submitted to the open call the jury chose 50 artists to participate in the main exhibition of the 7th Tallinn Applied Art Triennial, “Ajavahe. Time Difference” opening on 21 April, 2017. We welcomed works that related to the topics of time, tempo, different notions of and approaches to time. The open call received applications from 32 countries, the final selection includes artists from 19 countries: Estonia, Norway, the Netherlands, Germany, Finland, Sweden, the United Kingdom, Belgium, Canada, Ireland, Israel, USA, Latvia, Lithuania, Spain, China, Switzerland, Taiwan and France.